A practical guide to banishing stress from your everyday life so you can feel happy and fulfilled. Do you feel overwhelmed by work — or life in general? Having trouble coping with too many demands on your time and energy? Well you’re not alone! Britain is currently suffering from a stress epidemic. A staggering 1 in 4 employees are said to suffer from stress and it is listed as the no.1 reason for workplace absence in the UK. Luckily for us, Neil Shah at the Stress Management Society is here to help. 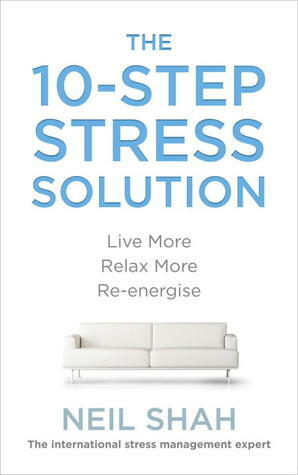 With a fantastic 10-step plan, he offers simple and practical solutions for reducing your stress levels so you can manage your life and breathe a sigh of relief.